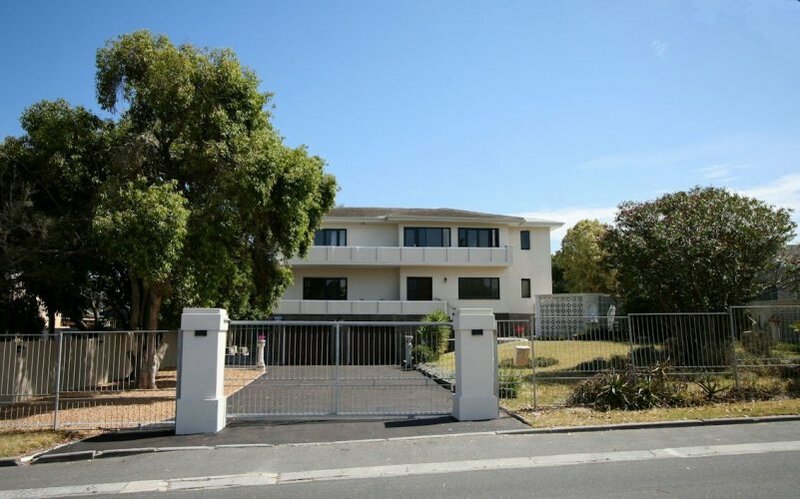 Well positioned in Parow North, with easy access via a well designed road network. Guests will find a multitude of activities, places of interest and spectacular natural beauty in a manageable radius. We currently offer 3 bedrooms of various sizes, which can either accommodate one or two guests. We offer a lounge, spacious dining area with open sundeck to enjoy your scrumptious breakfast outside. Parking is provided in our pebbled parking area under shaded trees with a remote controlled main gate. 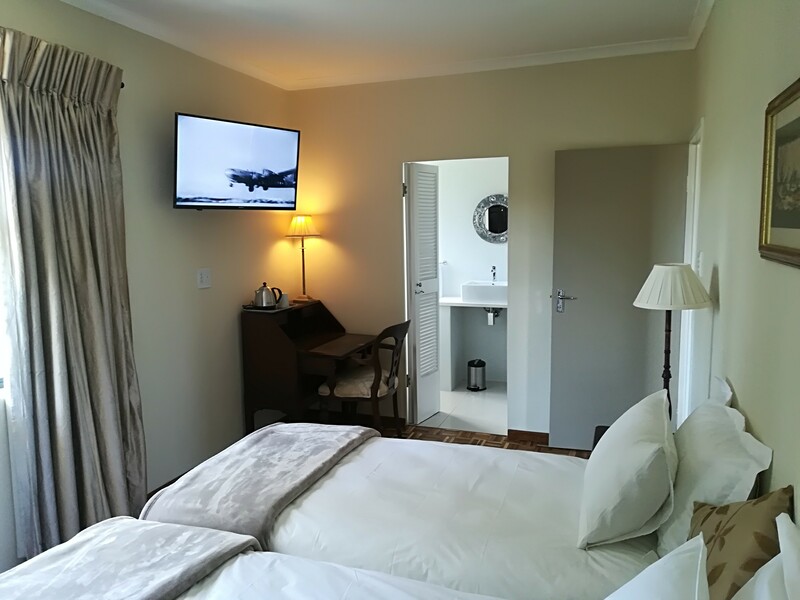 Each room has an en-suite bathroom with a shower, Smart TV with DSTV and free basic WIFI, with a complimentary coffee and tea station. Our Breakfast will consist of a buffet and can be complemented by a hot meal option, to be ordered individually. 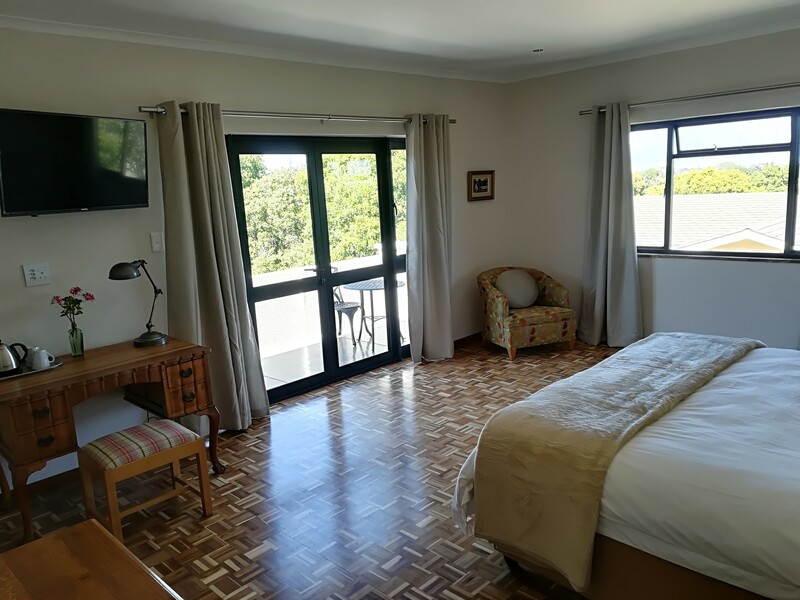 Well situated, we are surrounded by several hospitals, businesses and within easy reach of industrial areas, which will ensure a convenient and pleasant stay for both business or pleasure. Less than 15 km from Cape Town City centre and the world famous Waterfront. The city is overlooked by the iconic Table Mountain (one of the new 7 Natural Wonders of the World), Devil`s Peak, Lions Head and Signal Hill. Days can be spent to ascend the mountain by cableway, hiking trails or by road to view the unique Fynbos vegetation of the Cape Floral Kingdom or simple enjoy the never ending views, and witness the firing on the historical noon gun. 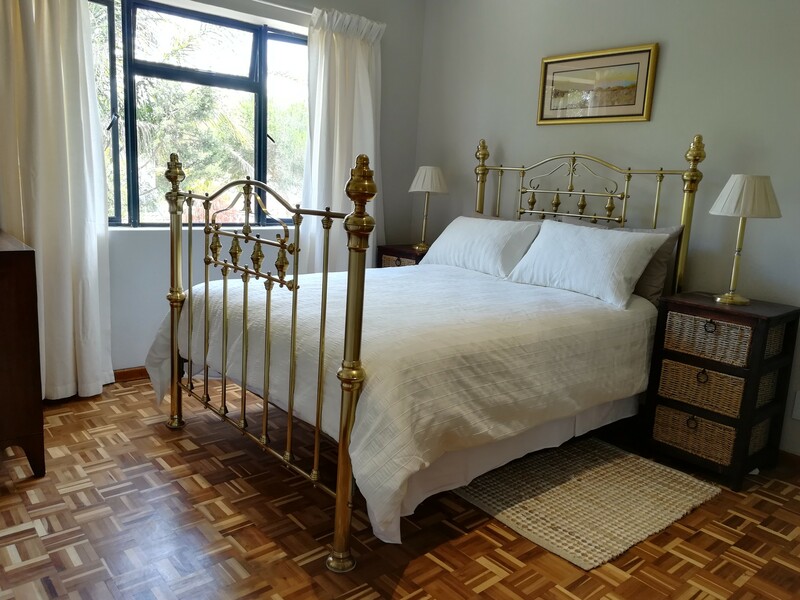 Visit the Castle of Good Hope, numerous museums, planetarium surrounding the glorious Company gardens or walk down St Georges Walk to Greenmarket Square with the vibrant Bo-Kaap nearby. The V&A Waterfront, which is a working harbour complex, offers all guests a remarkable venue with many restaurants, shopping area, hotels, Two Oceans Aquarium, markets, clubs, cinemas, entertainment, boat trips and sunset cruises or join the The Robben Island experience. Close by is the new Zeitz MOCCA museum of contemporary art situated in its masterfully restored silo. Passing the Cape Town Stadium heading towards Mouille Point and the Sea Point Promenade, the Green Point Park, the area offers splendid walking and jogging areas, while admiring the Atlantic Seaboard area with its upper end residential areas and beautiful views. The Kirstenbosch Botanical Gardens sloping up on the back end of Table Mountain, situated in the Southern Suburbs, is only 17,5 km and a bucket list visit. Further in a south westerly direction, Cape Point at the tip of the Peninsula (53 Km) can be reached via the Peninsula route which includes Hout Bay, with a potential visit to Seal Island or World of Birds, and Chapmans Peak (Road closures possible due to adverse weather conditions) and Kommetjie, and the Cape Point Ostrich farm. Returning back to the city, a drive along the False Bay coast will include the Boulders Penguin Colony near Simons Town, further along Kalk Bay and Muizenberg. Within 15 km the Table View/Blouberg Beach areas will invite you to try the cold Atlantic Ocean water. Further towards the north the world renown Spring Flowers towards Langebaan and Postberg Flower reserve is around 100km. For the wine connoisseur, the nearby Durbanhills Wineroute is less than 5km away with the well known De Grendel Wine Estate (4.18Km) and Durbanville Hills Winery (7.2km) and Hillcrest wine and Olive Estate (6.89 km) to name a few. Access to the N1 freeway will lead the way inland to many wine estates around Stellenbosch (26.5 km) as well as Franschhoek (a further 38km) , Paarl, Wellington, Worcester and much more. Close to our Guest House is the Tygerberg Nature reserve with manageable hiking trails up the hill which offers 360 degree views of the entire Cape. The Parow Golf Club (1km), Virgin Active Gym (N1 City -2.24 Km) Planet Fitness – Plattekloof Rd (1.73km), Various shopping centres including Canal Walk and Century City (6.25km), N1 City Mall (1.77km), Plattekloof Village shopping centre (2.52 km), Tyger Valley Shopping Centre (5.5km) as well as the Grand West Casino. Depart airport via Airport Approach road. First off ramp will be M22 ( Borcherds Quarry Road, Turn left and left again, joining the M22. Continue for 1.6 km to turn right into M10 Robert Sobukwe/Modderdam Rd. Continue 1.8km and turn left onto the M29 (De La Rey Street). Continue for 5.6 km crossing major intersection such as Francie van Zyl Drive (M16), the main railway line and Voortrekker Road (R102). Continue to Frans Conradie Drive (M25), turn left and continue until the traffic circle (roundabout). Turn right into McIntyre Rd (M14) 700 m further turn left into De Grendel Rd. First road right into DF Malan Street, First road turn left into Sonneblom Street and at the T- junction with Theal Street, turn right to 48 Theal Street (across Laerskool/Primary School Parow Noord/North). Take the M14 (McIntyre Road/Plattekloof Road) off ramp. Turn right at the second traffic lights into McIntyre Road, cross over the N1. First road/traffic lights turn right into De Grendel Road, immediately first road turn right into DF Malan Street. First road again, turn left into Sonneblom Street, at T-junction with Theal Street, turn right to 48 Theal Street (across Laerskool/Primary School Parow Noord/North). Nearby hospitals: Cure Day Clinic – 1.4km ; N1 Netcare Hospital – 1.92km; Mediclinic Panorama and Panorama Medical Centre – 1.27km; Karl Bremer Hospital 2.76km; Louis Leipoldt Medi-Clinic 3.54km and Tygerberg Hospital 4.12kms.